Curious about nanotechnology, sustainability, and life in science? 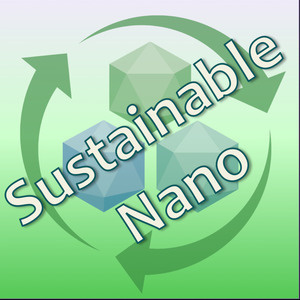 The Sustainable Nano podcast is produced by the Center for Sustainable Nanotechnology, a chemistry research center funded by the U.S. National Science Foundation. Alvin Chang, Senior Graphics Reporter for Vox, wrote and illustrated an article last year called "The subtle ways colleges discriminate against poor students, explained with a cartoon." In this episode of the podcast, we share the audio of a webinar that Chang presented for the Center for Sustainable Nanotechnology about his work. He tackles challenging issues of class, bias, and educational attainment using clear illustrations (verbal as well as visual) and simple analogies that are relevant far beyond the world of academic science. Want more podcast episodes? You can find them all on our podcast page, or you can subscribe through Apple Podcasts or Stitcher. The subtle ways colleges discriminate against poor students, explained with a cartoon. Vox.com, updated Sept 12, 2018. Money, Race and Success: How Your School District Compares. By Motoko Rich, Amanda Cox, and Matthew Bloch, The New York Times, April 29, 2016.